Mercedes-Benz is about to map the whole world with the new S-Class, and it should be, because the new flagship of Mercedes is one of the world’s best car. 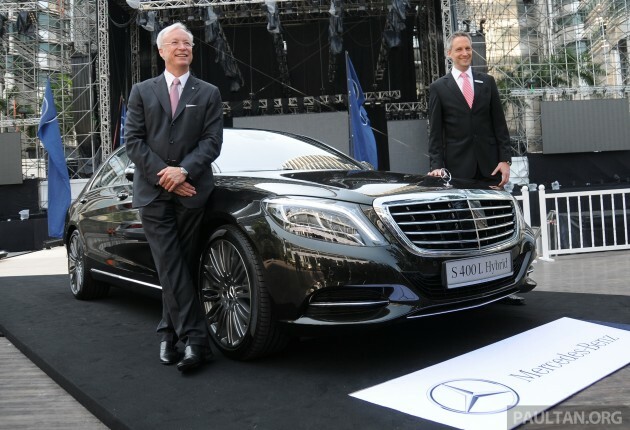 One more country in its stride, the German carmaker launched the new S (Class) in Malaysia in three variants – S 400 Hybrid, S 500 and S 63 AMG. Prices of the new S-Class starts at under RM900,000 for the S 400 Hybrid badge which will be locally assembled; RM1.08mil for the S 500 and RM1.6mil for the S 63 AMG. From the Pandora box of features “intelligent drive” have attracted the Malaysians a lot. It includes the new pre-safe functions that are programmed to prevent collisions with pedestrians and as well as the vehicles out there on the road. Trailing further, they say, new sedan also holds the title of being the first car on planet to use light emitting diodes (LEDs) exclusively instead of light bulbs with almost 500 LEDs in the vehicle. Merc S-Class is so smart that it can scan the roads ahead and can adjust suspension to avoid/reduce the effect of bumps. Also known as the W222, the new S Class is sleeker, refined in appearance, larger and more spacious. Merc has conveyed Malaysians, during the launch at KLCC, it consumes 20% less fuel than the previous model.